Enjoy the shaded area in front of the tent! An extra sun canopy for the Bora-Bora tent, ties on to 2 double rings provided on the double-roof of the tent. 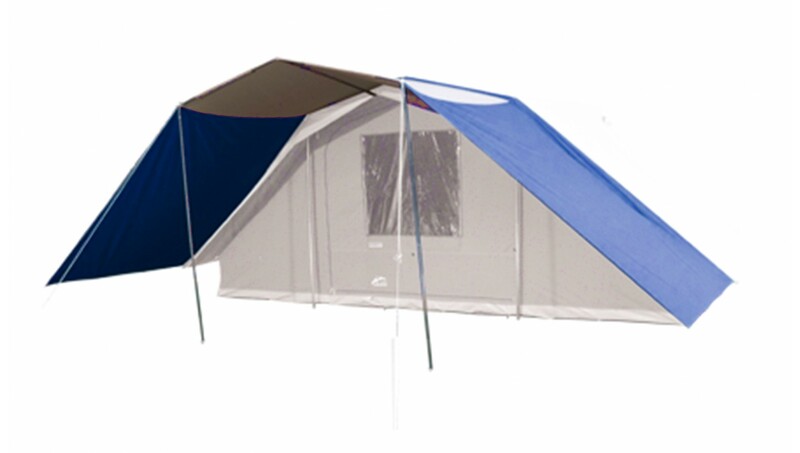 An extra sun canopy for the Bora-Bora tent, ties on to 2 double rings provided on the double-roof of the tent.